Animal Welfare Officer Alison Sparkes saved the stricken creature wedged in a pipe by building him a little ladder so he could clamber his way to freedom. Thrill-seeking Jamie sparked an emergency after escaping from his cage and wriggling into a pipe while being looked after by his owner’s friend in Bridgwater, Somerset. Six days later, the beige and white rodent was still floundering inside the pipework and so the RSPCA was alerted to help bring him to safety. AWO Sparkes soon realised that the best way to help the mischievous creature was to play to his spirit of adventure by using her own DIY skills. AWO Sparkes said: “Jamie was being looking after by a friend of his owner when he escaped and went down a 10cm-wide pipe that housed the water pipes. “This vertical pipe was one metre deep. The gap between the water pipes he squeezed through was about 4cm wide and was impossible to look down the pipe due to the pipes inside it. 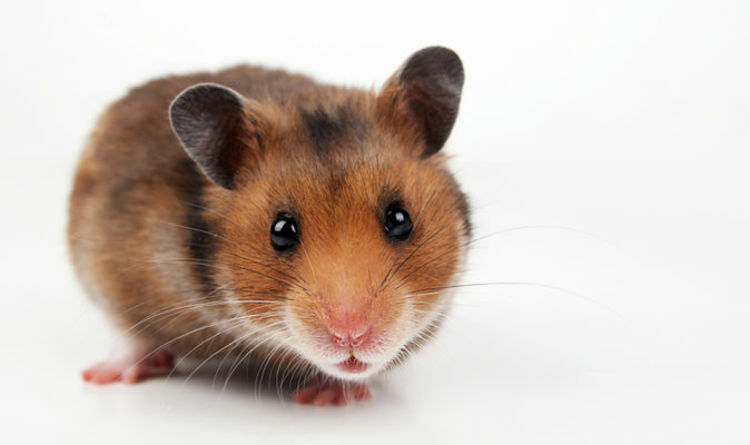 Knowing that hamsters love to spin in wheels and clamber up the wire bars of their cages, all Jamie needed was a sturdy structure to climb for him to be encouraged to save himself from being trapped in the network of pipes. The RSPCA welfare officer had just the thing. AWO Sparkes said: “We knew he was okay as they had been dropping food down and could hear him eating so I went home and cut a one metre long ladder from some old wire mesh. “I then went back, fitted the ladder into the pipe and that evening he emerged. The RSPCA says anyone who spots a sick, injured, trapped or distressed animal can call its 24-hour emergency line on 0300 1234 999.